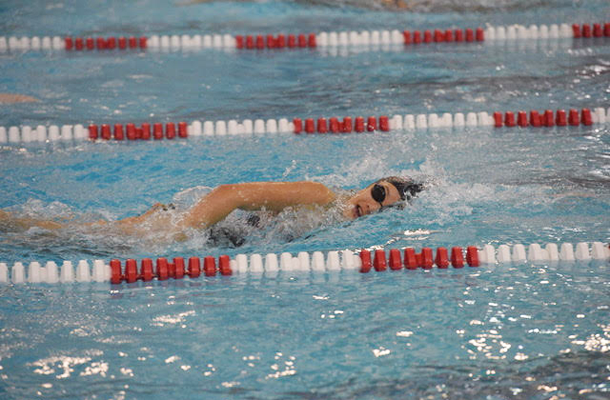 Before this season, junior Leia Ross had not been a member of the Fox Chapel Area High School Swimming Team. But she had friends who were, and they encouraged her to join them. Now, she is ecstatic that she did, and even wishes she had signed up sooner considering the great year she’s had individually and with her teammates. 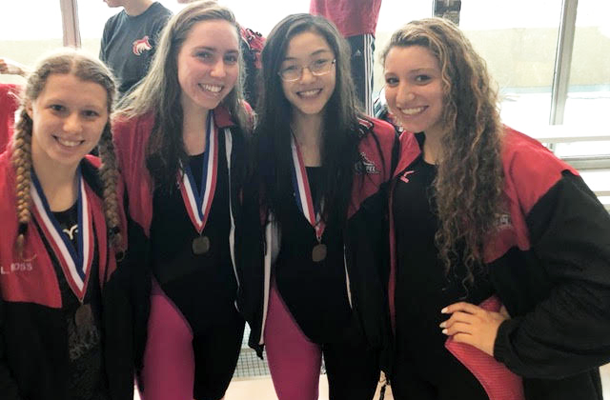 As part of the 200 medley and 400 freestyle relay teams that competed at the recent WPIAL Class AAA championships, Leia and her teammates – junior Grace Gackenbach, sophomore Vivian Shao, and freshman Zoe Skirboll – earned a ticket to PIAA championships after placing fourth at WPIALs. The opportunity was sweetened by the fact that their fourth-place finish in both relays also broke school records. Their time in the 200 was 1:46.12 and beat the former record by almost two-and-a-half seconds. In the 400, they finished at 3:33.65, almost eight seconds faster than their seed time. Even though the girls medaled at WPIALs on Thursday, February 28 and Friday, March 1, it wasn’t until late Sunday that they found out the list of the at-large contestants. 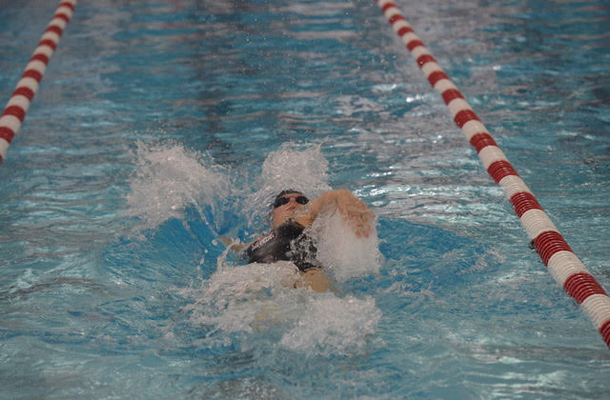 The winner of each event from WPIALs gets an automatic invite to the PIAA meet, and then all times from throughout the state are compared to determine the remainder of the field.